Home / Articles / How Much of the Film Pearl Harbor is Accurate? For the audience to connect with the characters, certain parts of their lives were fictionalized. Maybe that’s why Mr. Taylor felt so strongly about the Hollywood depiction of events that unfolded that day. Mr. Taylor wasn’t the only veteran to be upset over Michael Bay’s Pearl Harbor. Jack Leaming was a radio operator in an attack plane that was shot down after the events of Pearl Harbor. He was imprisoned by the Japanese and held captive in Osaka, Japan. This was a man whose period of service was set to end on December 9th, 1941, but he stayed back after the outbreak of war to fight the Japanese forces. Like Titanic before it, Pearl Harbor draws the audience in by creating a love story, and tries to recreate the feeling of loss experienced during those times. Although only one scene in the movie is related to them, Pearl Harbor most closely resembles the accounts of Kenneth Taylor and George Welch, second lieutenants in the U.S. Army Air Corps and two heroic pilots who bravely defended Pearl Harbor in the time of most desperate need. The scenes leading up to and featuring the pilots’ dogfights over the harbor are accurate, but the similarities seem to end there. That is, except for the very expensive and realistic-looking explosions. The Arizona Memorial can be see n on-camera when nurses visit Pearl Harbor by ferry. The Memorial wasn’t built until 1962. Japanese aircraft carriers depicted in the movie took advantage of jet catapults and angled flight decks – technology not implemented until the 1950s. Admiral Isoroku Yamomoto was not aboard a Japanese aircraft carrier on the day of the attacks. The planes are shown flying unrealistically and dangerously. Although agile for their time, the P-40s and Zeros weren’t able to perform many of the dog-fighting maneuvers shown in the movie. The planes used by the United States during the attacks were model P-40, but in the film they are shown flying the later model P-40N, which was introduced in 1943. On an exploding ship during the air raid sequence, a tripod mast is shown falling over when there is no recorded instance of this occurring during the actual attacks. The Japanese Zeros in the film are green in color, as if they were Japanese Army aircraft. In fact, the Zeros that raided Pearl Harbor were silver, and belonged to the Japanese Imperial Navy. There are more specific areas in which the movie was inaccurate, for example in the opening scene the biplane used wasn’t invented until years later. This is probably because it would be hard to find or build a replica model plane that was actually used in the era. 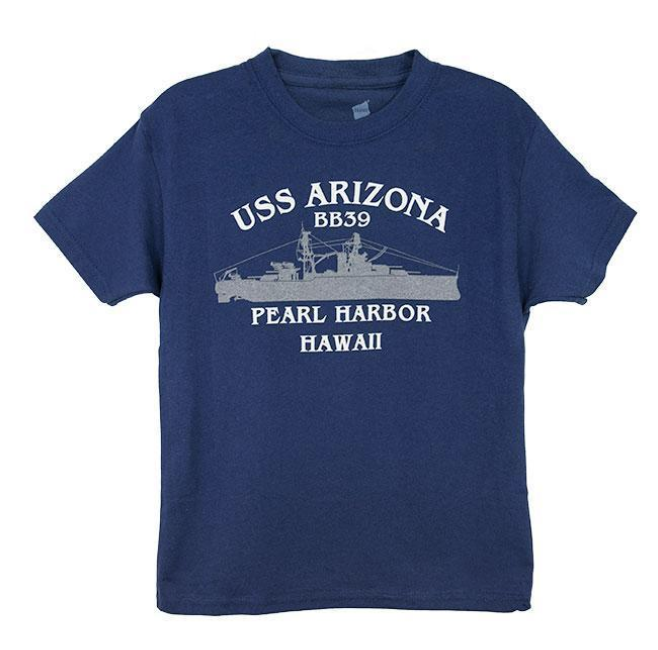 Many people feel that Pearl Harbor misses the mark. In addition to taking liberties with historical facts, the overall narrative of the film seems to downplay the efforts of the other 100 pilots in the air over the harbor that day. Many veterans and survivors were disappointed with Mr. Bay’s portrayal of the attacks on Pearl Harbor for this reason. While Pearl Harbor isn’t the best source of information to learn about the actual events that happened that day, there are several historic sites in Honolulu that offer a breadth of information on practically everything related to the attacks. The most popular to visit are the USS Arizona Memorial, Bowfin Submarine Museum, and the Battleship Missouri, each offering something unique to those visiting the historic sites. 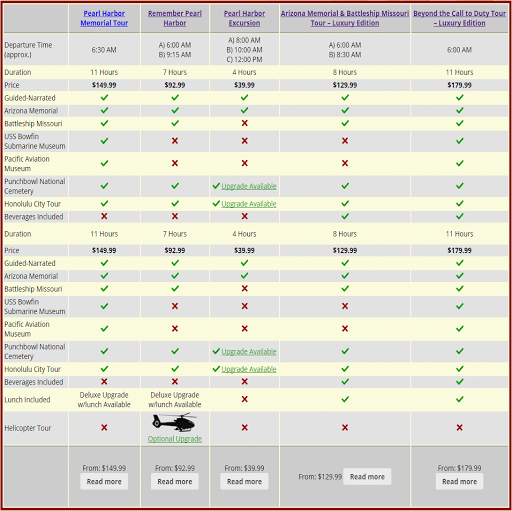 When planning a visit to Pearl Harbor, we recommended that you do some research ahead of time to decide which sites you want to make the time to visit.